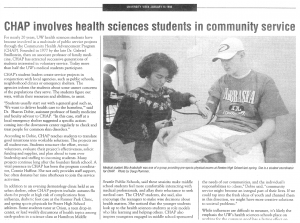 Coverage of CHAP in University Week, January 15, 1998. 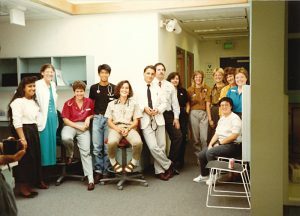 The Community Health Advancement Program (CHAP) began in 1980 and is a program sponsored by the Department of Family Medicine, at the University of Washington School of Medicine. Students and faculty came together behind a mission to provide students with community-based experience while providing needed services to several of Seattle’s low-income communities. Through work with these communities, CHAP encourages medical and other health science students to consider primary care careers with the underserved. CHAP projects have always been volunteer efforts, led by the students, without credit; they are designed to provide service in an area of unmet need. In addition, CHAP provides leadership development for its student leaders. The original CHAP project was the Saturday Clinic at Holly Park Clinic. This project provided expanded hours of operation for the Holly Park Clinic and was a full spectrum primary care clinic on Saturday afternoons. Students organized and trained volunteers, managed the clinic and provided the care, attended by a volunteer community physician. This clinic continued for sixteen years throughout many clinic transitions, including a move and name change to the RainierPark Medical Clinic. It was closed in 1996, after the RainierPark Clinic expanded its hours to include evenings and weekends. The structure and processes associated with the development, management, and evaluation of the Saturday Clinic became the templates for the development of subsequent CHAP projects. CHAP is a fluid, evolving program. The needs of the communities we serve are not static, nor are their resources. Our students’ interests and skills also vary from year to year. 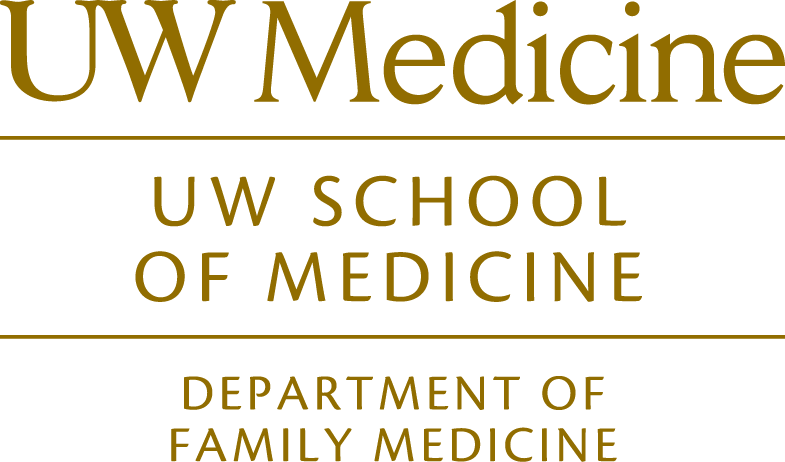 We remain committed to providing needed service in partnership with community-based organizations and to providing quality leadership and service learning opportunities to health science students at the University of Washington. The brief timeline below summarizes CHAP’s history. The first CHAP project was the Saturday Clinic at Holly Park Clinic that opened in 1980. This full-range clinic met every Saturday and was staffed by medical students under the supervision of a volunteer attending physician. CHAP provided expanded hours for sixteen years. CHAP’s services ended in May, 1996 when RainerPark Clinic initiated evening and weekend hours. Working with the staff at RainierPark Clinic to identify service gaps, CHAP later developed a diabetic foot care clinic. Students invite community leaders to address topics related to serving underserved populations. These seminars continue currently in collaboration with the SPARX program. CHAP begins providing flu shots for RainierPark Medical Clinic patients. Sports Medicine Clinic. CHAP provides pre-athletic sports physical exams to low income middle and high school athletes. 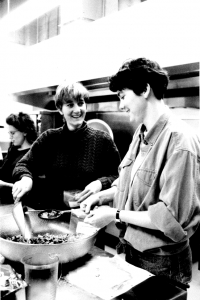 In 1992, UW students voiced an interest in working with the homeless community. After doing a needs assessment and working with several community partners, the Downtown Emergency Service Center invited CHAP to provide dermatological care twice a month. 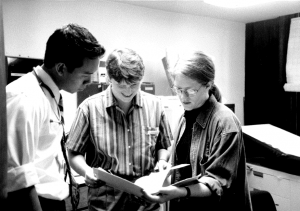 After two years of planning and development, our first day of service was December 14, 1994. In 1994, our students met with community-based organizations working with the HIV positive and AIDS communities to identify unmet needs. The Chicken Soup Brigade invited us to develop a project cooking for their clients. CHAP’s first grant from Friends of the School of Medicine funded ingredients for our students to cook meals for persons living with AIDS. This project continued for two years until Chicken Soup Brigade hired a full-time cook. No longer filling an unmet need, CHAP closed the project. After expressing an interest in working with adolescents, students conducted a community needs assessment that identified a need for youth mentoring. A relationship was established with the Seattle Public Schools Health Education Department and Hamilton Middle School, which evolved into a weekly project involving health education and mentoring. Students also began a tutoring and health education project at Orion Center–a drop in center and classroom for street youth aged 12 to 19. In 2001, joining with SPARX, students expanded this project to include presentations at Peace for the Streets by Kids from the Streets, a Capital Hill social service agency serving street-involved youth. Health Science students stage an annual women’s health fair including booths on osteoporosis, sexually transmitted infections, smoking cessation and heart health. Dental students have in some years given dental exams. Foot and skin care are also provided. In addition, a monthly series of health talks reinforces these health and wellness topics and encourages health behavior change. Students piloted a new project for pregnant teens, the Perinatal Support Project, whereby students provide advocacy and emotional support for young mothers-to-be encouraging the use of prenatal services and acting as liaison between the women and the medical community. In early 2004, Safe Links, a mobile medical outreach service for street youth closed its doors. With the loss of a popular service learning opportunity, staff and students decided once again to convene a retreat to identify a new or existing community service need and to develop a student program to address that need.